We have introduced Celeste to the beauty of American sit-coms, the favorite being Parks & Recreation. As you can tell, subtitles can be telling. 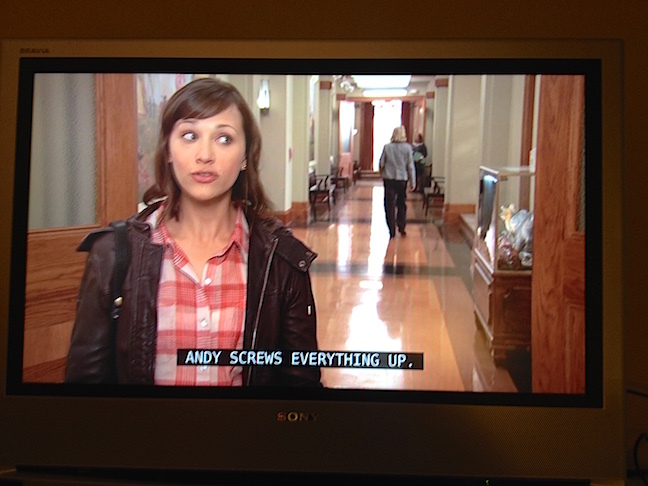 Andy, I believe you screwed this post up. I know I was the one to introduce Celeste and to get Melinda and you to watch parks and rec. The perfect comment from the person who introduced Celeste to, and got Melinda and me to watch, Parks & Rec, for sure. I humbly bow to you.